At first, I thought ‘alternative’ and ‘Switzerland’ didn’t go together. 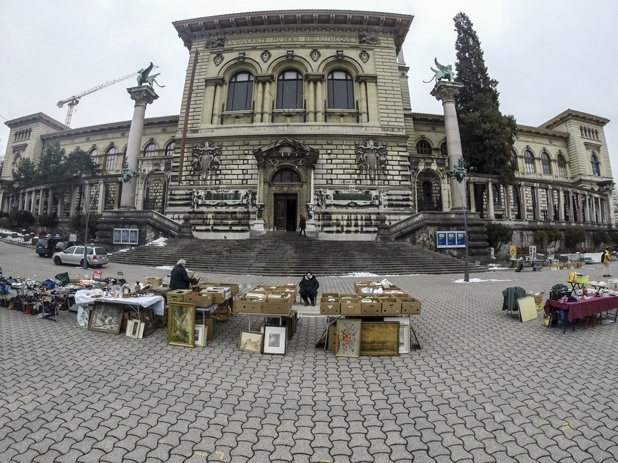 Then we spent a weekend in Lausanne, and went on a search to see if we could find anything unusual. Guess what? Alternative Lausanne does exist! 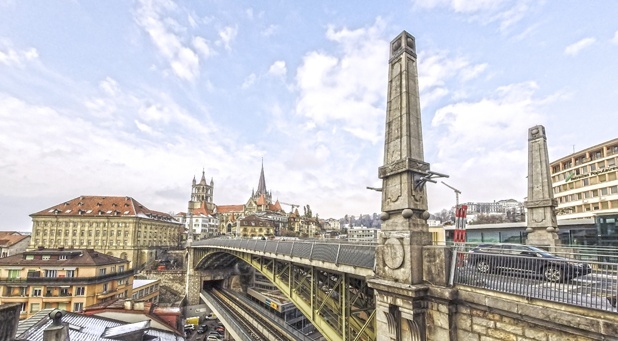 Alternative Lausanne – does it exist? 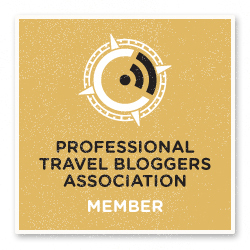 If you know us and our blog, you’ll be aware that we’re absolutely hopeless when it comes to planning. 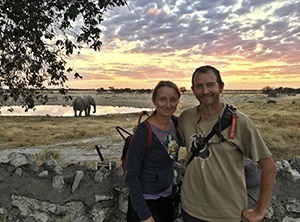 We’re not the kind of people that leaf through guidebooks and travel forums, and put together a must-do list. 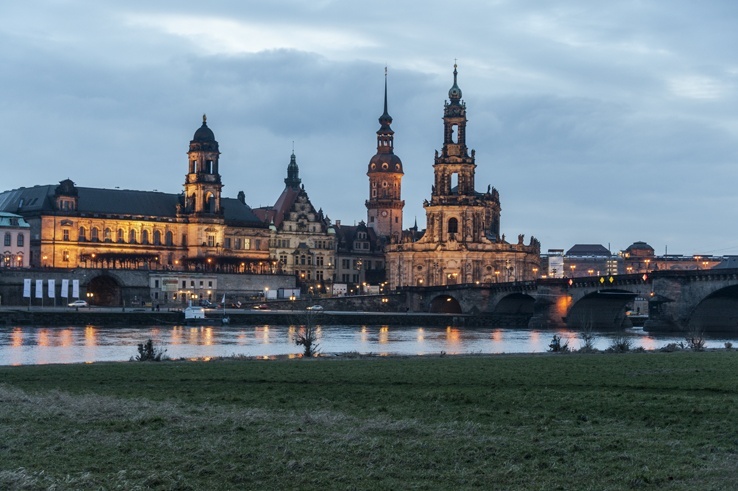 We usually tend to ask around on social media the day before we leave, ask locals once we get there (like Nick did in Dresden) or just search around the Internet. 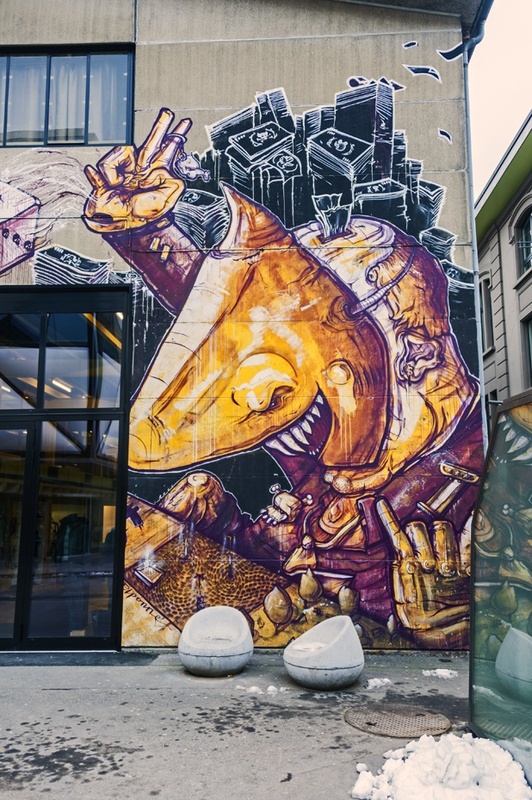 When we were invited to spend a weekend in Lausanne, we knew immediately what we wanted to do – what we always do in cities, exploring unusual and alternative sights. But this time, social media didn’t help. 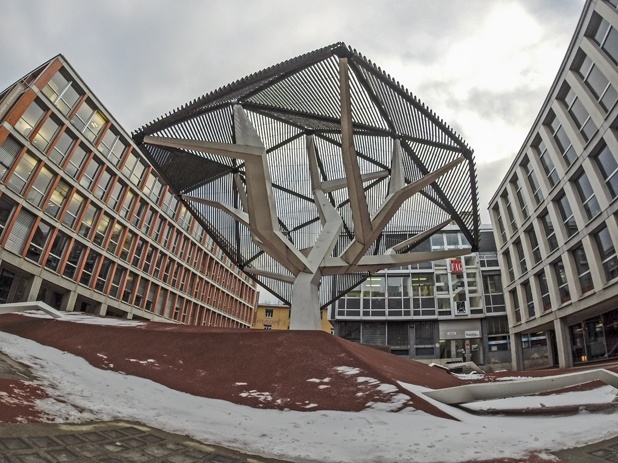 We found no blog posts about alternative Lausanne. On Twitter, about 20 people recommended we visited the Olympic Museum – but no one said anything about street art, cool bars, alternative neighbourhoods or quirky sights. We tried googling ‘alternative lausanne’. What we got was stockbrokers and business consultants offering ‘alternative investments’, ‘alternative energy’ in Lausanne, and an ‘alternative radio’. Oh, what to do? Another idea we had was exploring urban parks, but the weather was going to be cloudy, windy and freezing (-10°). Not really ideal. When we got to Lausanne, we had a great walking tour with a guide named Christine, who provided a great overview of the city, and gave us lots of ideas to explore independently the following day. So, did we find alternative Lausanne? We definitely found some cool places. OK, Lausanne is not Athens or Berlin, but you look beyond the manicured streets and picture-pretty lake front, there is an alternative spirit. 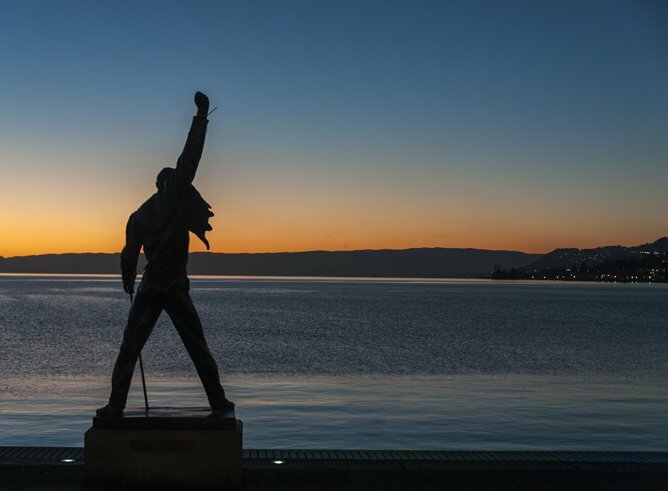 To make matters even better, Lausanne is surrounded by amazing destinations like Montreux and many more awesome things to do in Switzerland! The story of how this neighbourhood came to life is really interesting. Lausanne is built on three hills – the saying goes that local girls have the best legs in the whole of Switzerland, because of the constant going up and down. Between two of these hills, the river Flon used to flow, until it was covered over, to build the railway and a warehouse district in the 19th century. The once-green valley became known as ‘Le Flon’, after the river. During the second half of the 20th century, the warehouses were abandoned and the site deteriorated, and got an unsavoury reputation. 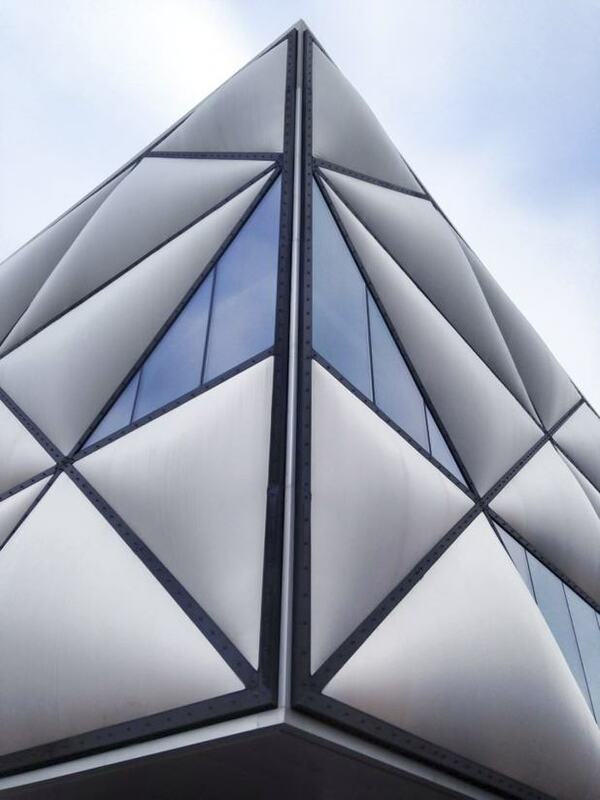 Thing is, Le Flon is right in the middle of the city, surrounded by hills on all sides – some say it was a bit of an eyesore. 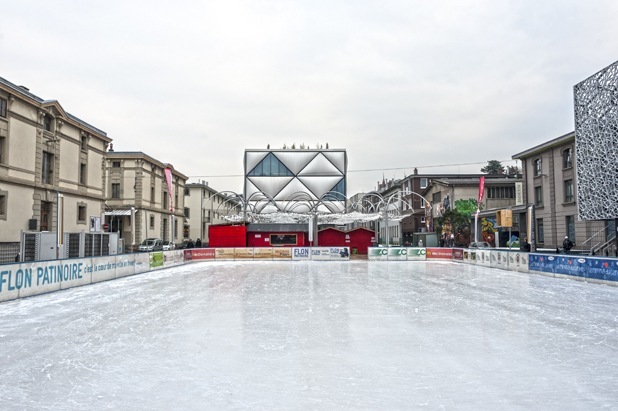 From 1999 onwards, the district was torn down and redeveloped as Lausanne’s nightlife area. The façades of some buildings were preserved, but most buildings in the Flon are no more than 10 years old. The MadHouse Hotel, where we stayed, was built in 2006 because there was no other hotel in the Flon area. 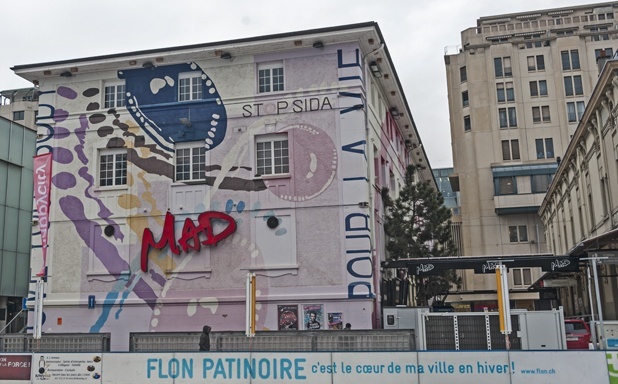 Nowadays, Le Flon is a cool place not only for a night out at MAD, Lausanne’s cult nightclub, but also for a daytime walk, to see some interesting architecture. The look of the area is steel-and-glass modern and minimalistic, feeling a bit ‘cold’ – not necessarily unwelcoming, just impersonal. And just off the Voie du Chariot, Le Flon’s main pedestrian drag with a fountain symbolizing the underground river, you can find some street art. Some commissioned pieces, some guerrilla ones – a nice splash of colour in a hyper-modern area. And some more street art! 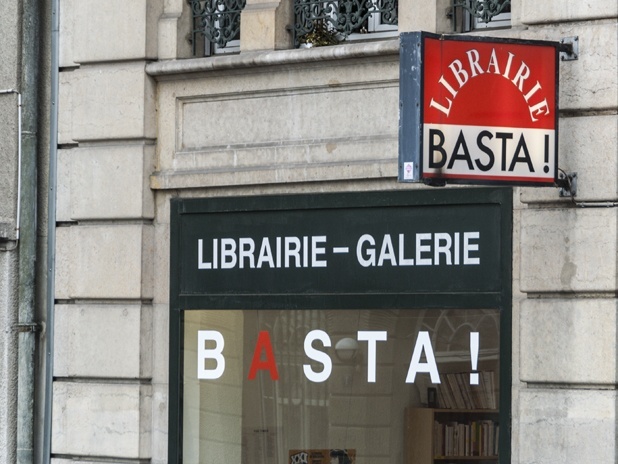 Somewhere between Le Flon and the old city, we found Librairie Basta!, an alternative bookshop selling books about politics, history, counterculture and more, plus really nice stationery products and books about Lausanne. Librairie Basta! is not just a bookshop though, it’s a place to exchange opinions, talk about politics and culture, or just relax and enjoy a cup of tea that you’ll definitely be invited to have. Most books were in French – luckily perhaps, had they been in English we probably would have spent the whole day there, and missed the rest of the city. I’m a kind of public transport geek. Forgive me. But I had to include this. 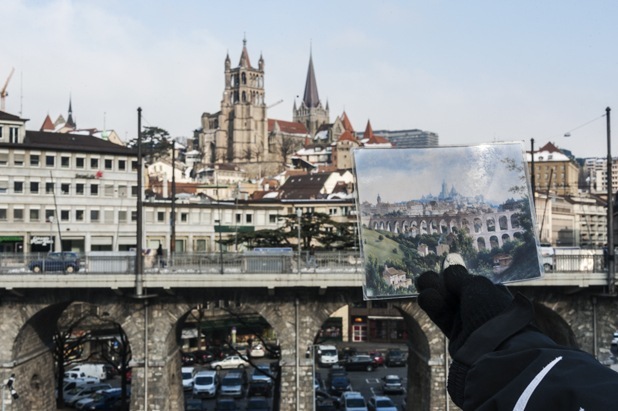 Lausanne is the smallest city in the world to have an underground train system, called ‘La Ficelle’ (the string). 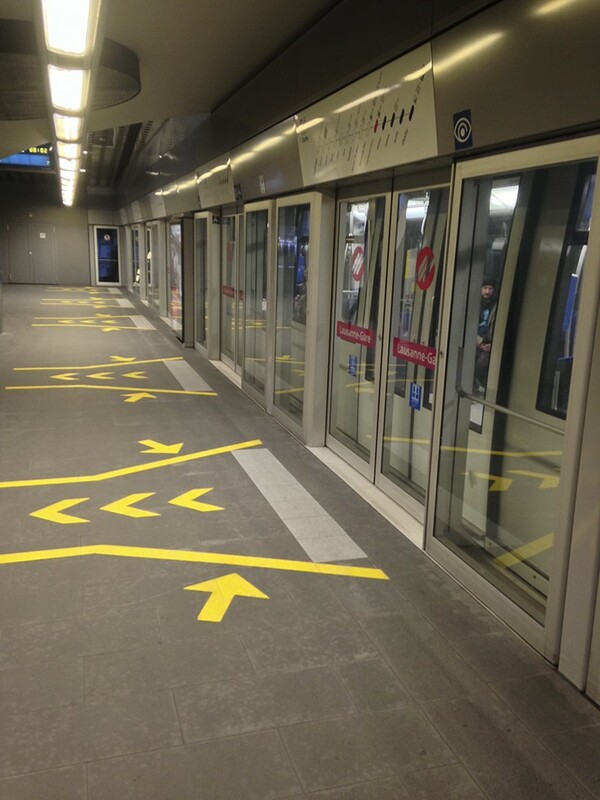 Despite being only 4.2 km long, the Lausanne Metro has the highest altitude difference in the world, with 338 meters between Les Croisettes, the highest station, and Ouchy, the lowest on the lake shore. The result? The metro actually goes uphill (or downhill, of course) and some of the platforms like Lausanne Gare are also built on a slope. If you’re staying in town, you can use the public transport for free – all hotels give you a public transport card valid for the duration of your stay. 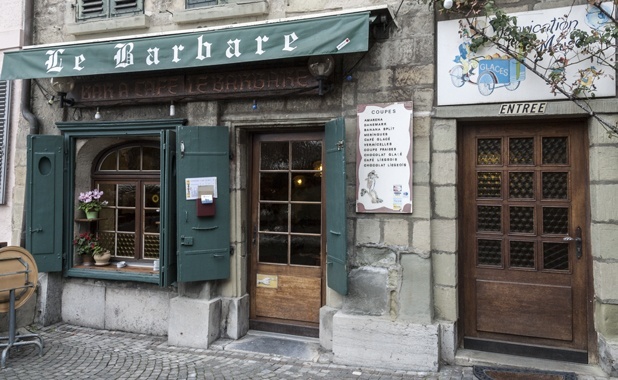 We barely managed to get to the headquarters of the Commune Livre d’Ouchy and have Christine tell us the story, before we retreated back to the upper part of town for a hot chocolate. Historically, Ouchy was always a separate village, and being a port, it has enjoyed special autonomy status since 1144. 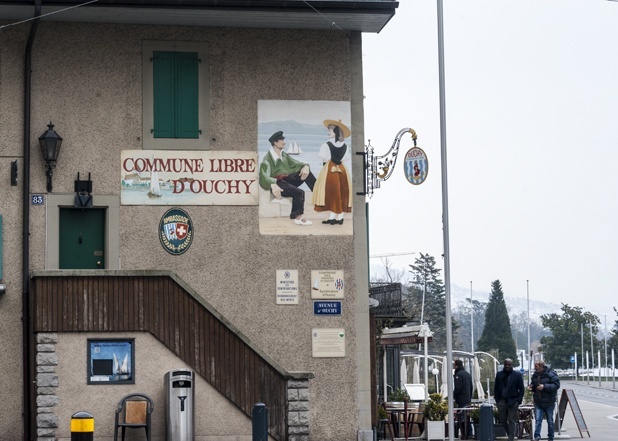 In 1780, the village was annexed to Lausanne and given the status of ‘commune livre’. 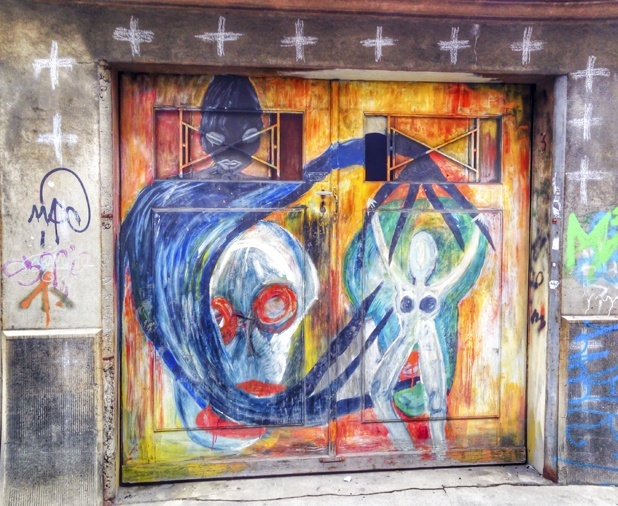 Nowadays, Ouchy calls itself ‘commune livre et indipendante’, with their own government, flag, passport and even their own vineyard – similarly to Uzupis, the self-proclaimed independent state in Vilnius, Lithuania. To be able to appreciate Ouchy in all its charm, you need to visit in summer when it’s possible to take a sunset cruise on La Vaudoise, the Commune’s very own tall ship, run and managed by the ‘Confraternity of Pirates’. 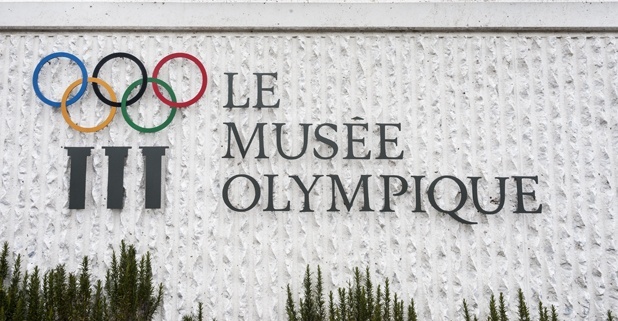 A little further down the street from the Ouchy Commune headquarters, you’ll find the Olympic Museum, one of Lausanne’s main sights. If it’s so mainstream, why are we including it in this alternative Lausanne post? Simply, because it’s so brilliant you’ll love it for sure – alternative or not. 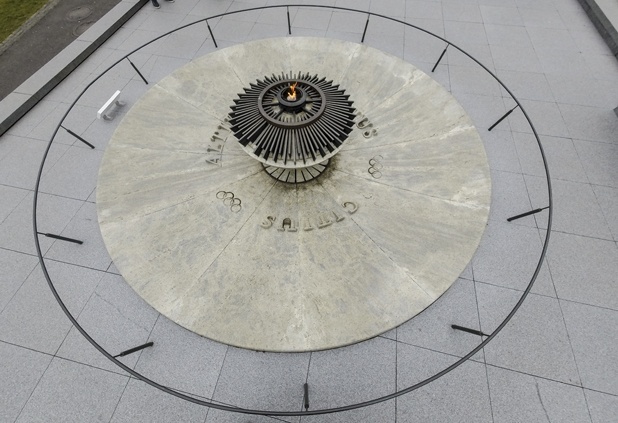 Lausanne is dubbed ‘the Olympic city, as it houses the International Olympic Committee. When we heard ‘Olympic museum’, we though ‘meh’. A couple of dusty flags, the leotard of the 1968 rhytmic gymnastic champion and some other vintage sportswear. We’ll be out of here in an hour. 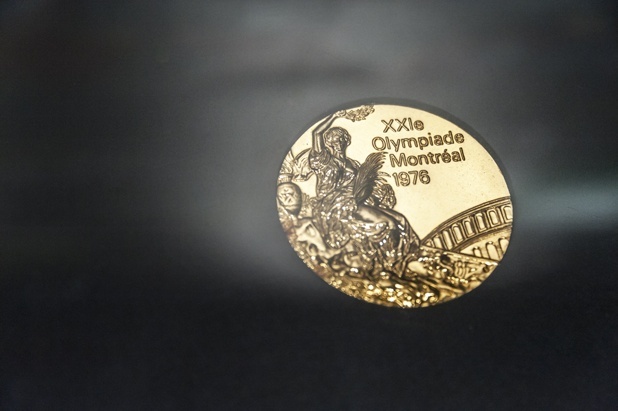 One of Nick’s bucket list items crossed – seeing a real Olympic medal! Four hours later, we were challenging each other for the third time on the biathlon simulator (Margherita won), watching videos of opening ceremonies and trying to beat Bolt’s record on the 100 meter track in the museum park. 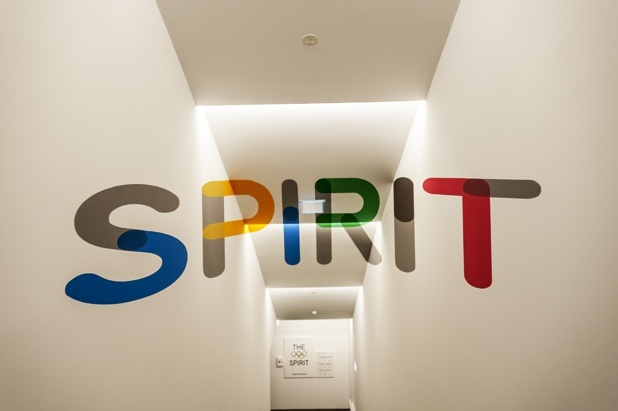 The museum offers you the opportunity to learn about Olympic history and spirit – and have fun on the simulators. What more can you ask for? Christine told us there are two unique museums in Lausanne. 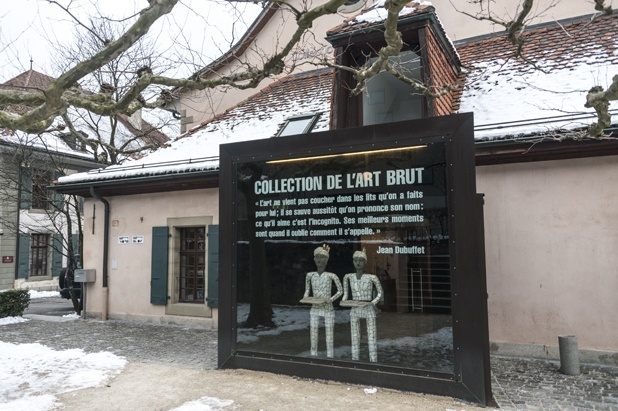 One is the Olympic museum, and the other is Musée de l’Art Brut, the only gallery in the world only exhibiting works of artists with no arts training. These include individuals with mental issues or intellectual impairments, convicts, people that suffered serious traumas, alternative characters and simple enthusiasts. Photography is strictly forbidden inside the museum, and not wanting to break the rules I have no images to show. Exhibits include calligraphy, papier maché figures, an ‘aquarium’ made of shells, a handmade chair weighing over 20 kilos, and rifles built with salvaged material. Exhibits are accompanied by a description of the artist’s life. 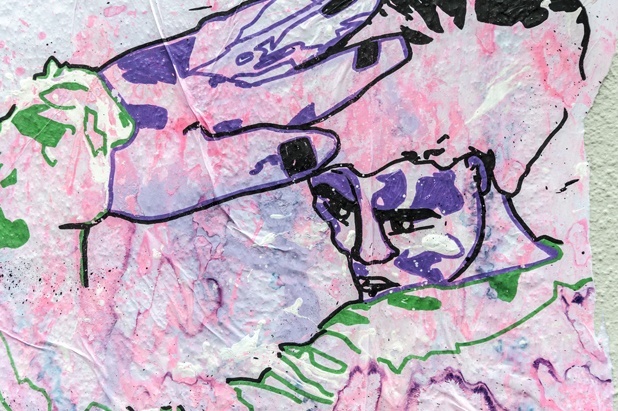 Many reported to enter an immaterial state during their art-making, travelling between spaces and times, transcending their bodies, and often creating incredible artworks. It made me think about the definition of ‘mental illness’, and what we define as normal. This art gallery offers you the chance to take a fascinating journey around the mysteries of the human mind. I can see you raising your hands in the air. A Cathedral? This has to be the most boring sight ever! 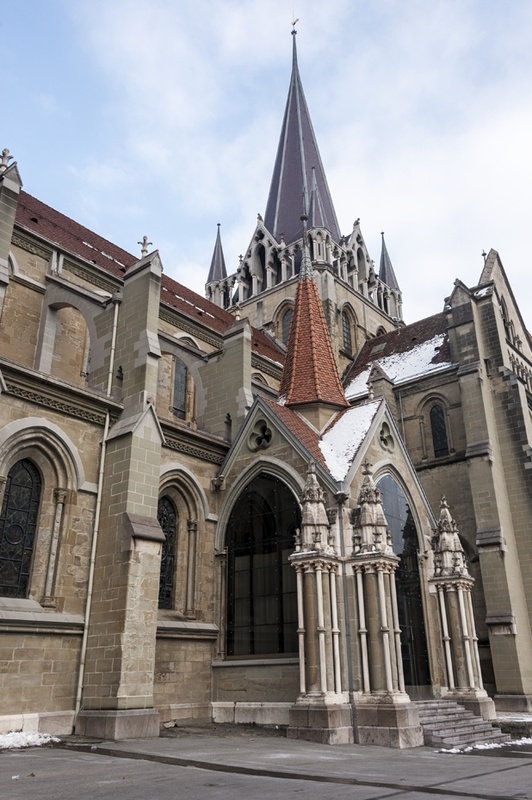 Just bear with me, and let me tell you what’s special about the Cathedrale de Notre Dame in Lausanne. Two things. 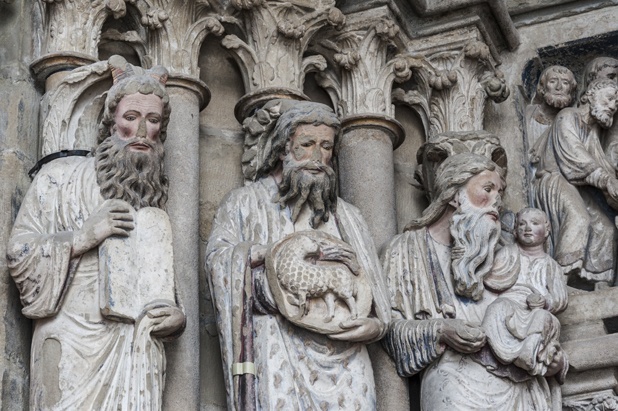 One is the beautiful painted south side portal, with statues of apostles, saints and evangelists. Several churches used to have painted statues once upon a time, but the paint is usually gone. 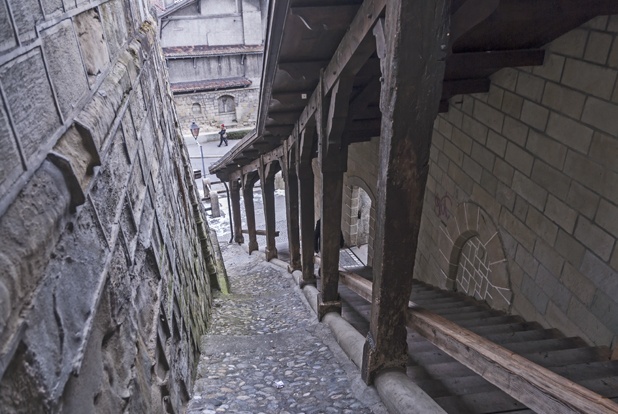 In Lausanne, you can see the portal as it welcomed pilgrims and worshippers looking (almost) like when it was built 800 years ago. The Watchman tradition began to prevent city fires. 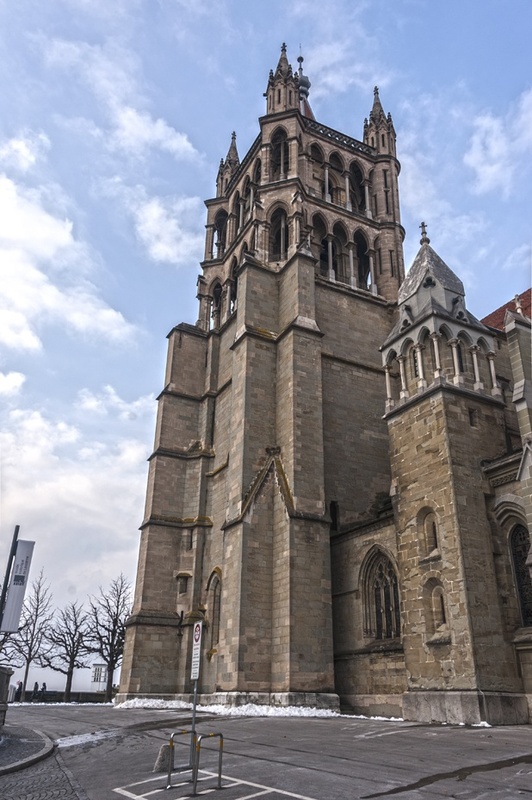 The Cathedral is on top of the highest hill in Lausanne, and from the top of the Cathedral tower, the Watchman is able to get a bird’s eye view. The current watchman is called Renato Häusler and has held the position since 2012. When I learnt you can visit him, I decided we have to return! And what about food? Lausanne’s food can indeed be pricey, but it’s filling and satisfying, especially if you’re a cheese lover. 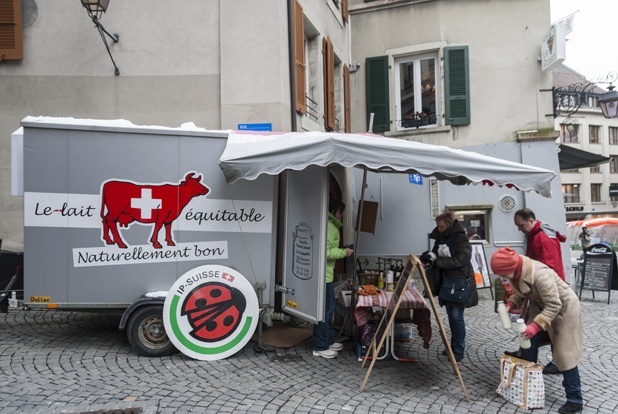 Swiss fondue – a dream comes true! 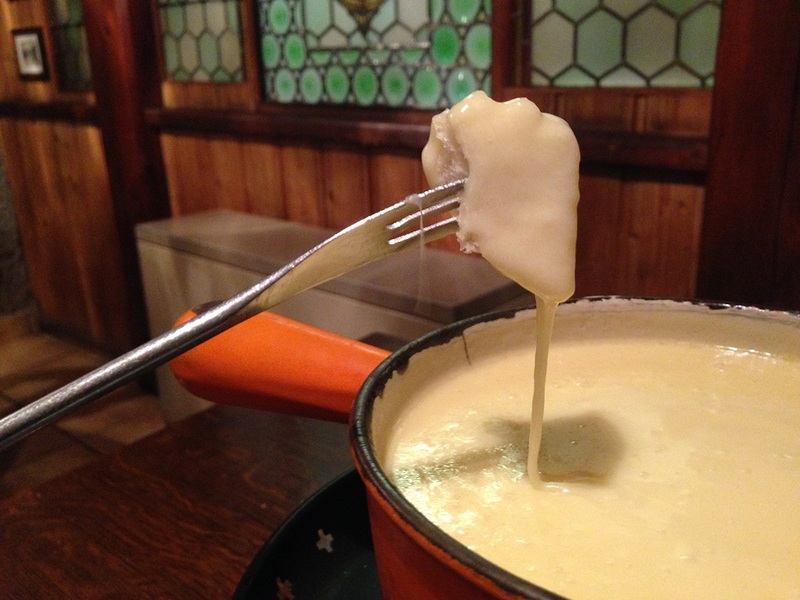 On our first night we enjoyed a Swiss favourite; a wonderful fondue at La Pinte Besson, a restaurant dishing out steaming melted cheese since 1780. On our second night, we went to Eat Me, a classy restaurant serving ‘the world on small plates’, tapas-sized dishes from all over the world. A must for globetrotters and gourmets – where else can you find Alabama corn bread, Middle-Eastern lamb kebabs and Shanghai style pork on the same menu? 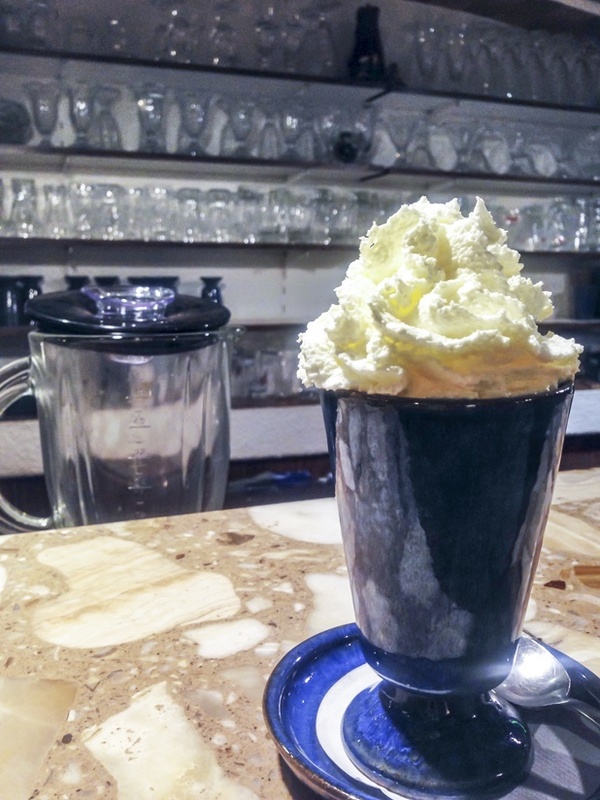 Another amazing place to warm up from the freezing winter is La Barbare, makers of the best hot chocolate in town! If you fancy something cheaper, or if you have the possibility to cook, head over to the weekly Sunday market, in Place de la Palud and the nearby pedestrian streets in the old town. You’ll find fresh farmer produce, including (yes, you guessed it) tons of cheese! We were guests of the Lake Geneva Region Tourist Office and Lausanne Tourisme during this trip. We would like to thank LHotel for its kind hospitality. As always, all opinions are our own. Wow I LOVE that staircase and the idea of a city covered in those types of roadways just made me long to go there. Especially since I could take the uphill metro once my legs get tired. I’m impressed with this alternative list and even more so with their architecture. I also love seeking out alternative things to do in a city…but I’m the opposite, I obsessively plan to find the alternative things and then just go with it, but my travels always begin with a plan. 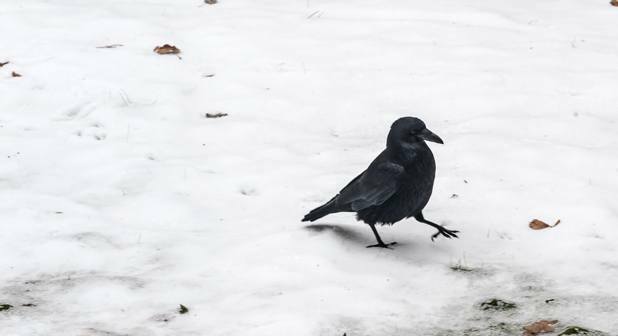 I’d love to be able to plan better… but somewhat, I always go on a wing and a prayer. I end up missing stuff but as I say, there will be another chance! Love your post too Angie… take care! I haven’t been to Lausanne in a long time. 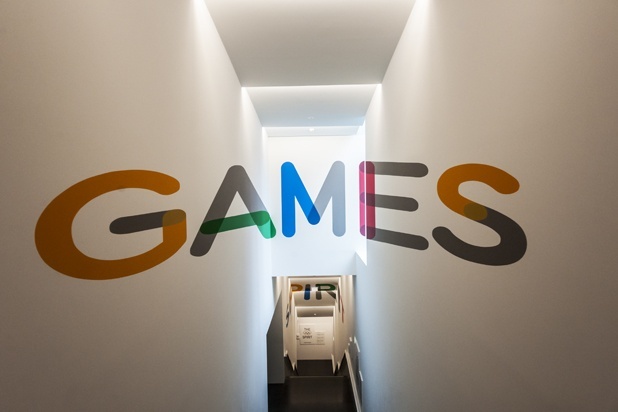 I think the Olympic Museum sounds like a lot of fun! Thank you for sharing this post, Margherita. I am headed in that direction this spring and I wasn’t sure if I should stop in Lausanne or go straight to Lake Como. This information comes in very handy. I think Lausanne is definitely worth a stop, and so is Montreux! Stunning places… thanks Anda! I must admit Lausanne was my last fave city in Switzerland… but maybe I should have found those places like you did, I’m sure I’d have enjoyed it so much more then! Ah thanks so much for this! I’m headed to Lausanne later this year and I’ve been looking for suggestions on something to do beyond the Olympics Museum and the Lake (an unusually difficult task, it seems). Excited to explore now! If you need more adresses or nice places to visit here in Lausanne, don’t hesitate to have a look at the blog Une Chouquette a Lausanne, it’s full of great ideas and places of Lausanne worth visiting.